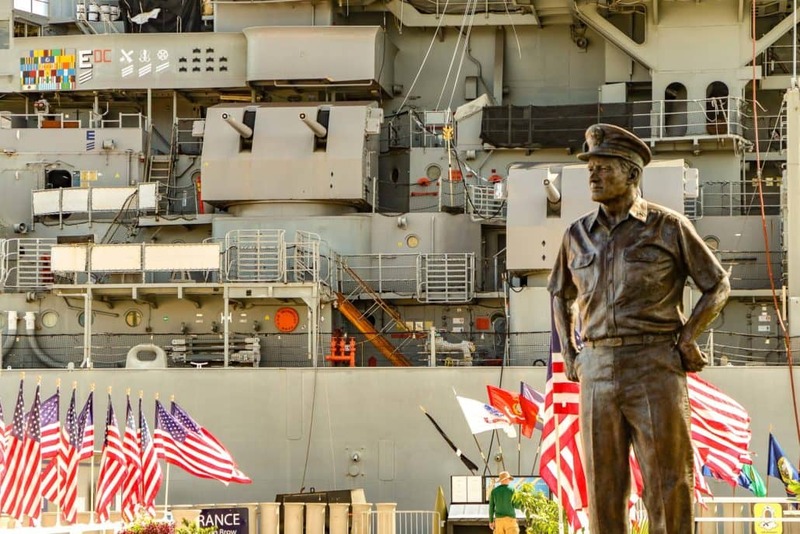 One of the most popular destinations on the island of Oahu is Pearl Harbor and the World War II Valor in the Pacific National Monument. 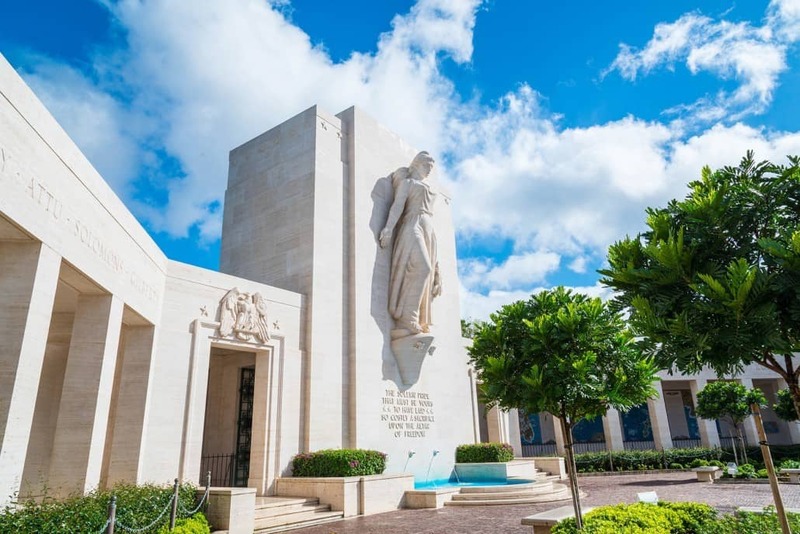 This monument is known for the stark white design of the Arizona Memorial and the hallowed ground where the USS Arizona actually lies beneath it – with over 1000 sailors and marines still interned within their watery grave. After paying our respects at the memorial, we travel over to Ford Island to board the USS Missouri. It was here, on this very deck, that the official signing of the Terms of Surrender that ended World War II occurred. 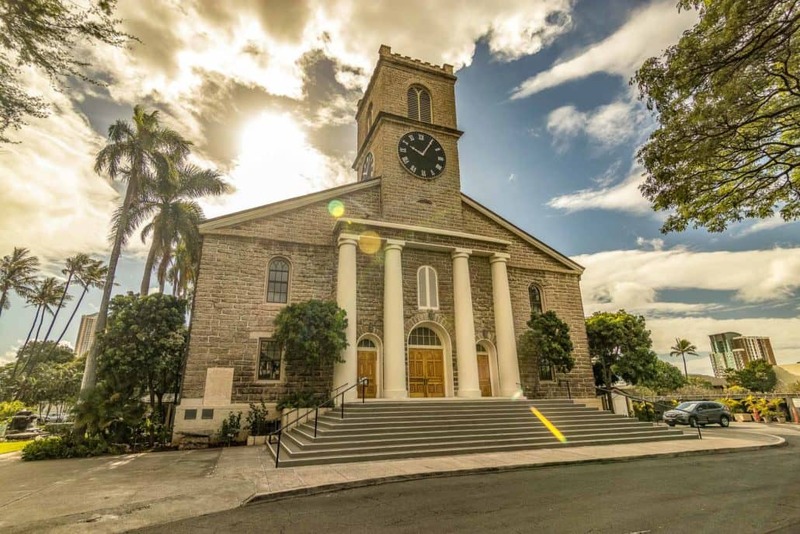 Honolulu is filled with historical buildings like Kawaiaha‘o Church and so much more! 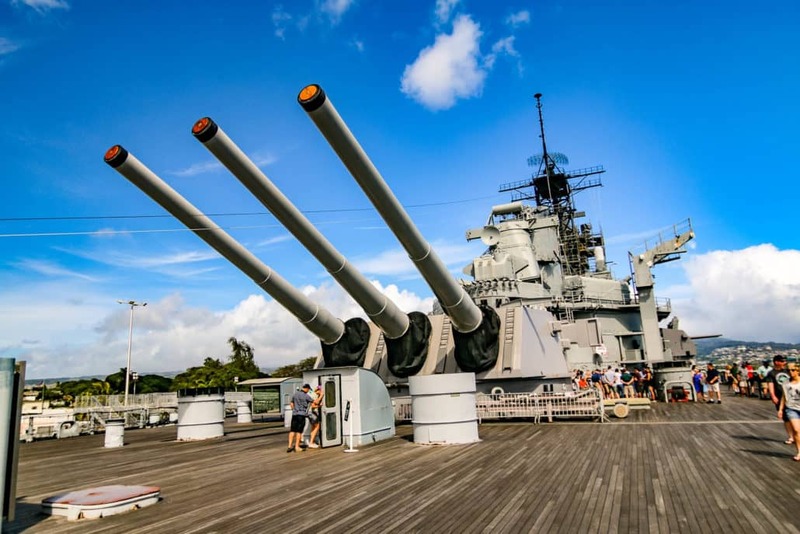 If you’re staying on an outer island (Maui, Kauai or the Big Island of Hawai’i) don’t miss an opportunity to visit historic Pearl Harbor, on a day trip, while you’re in the state of Hawai’i. 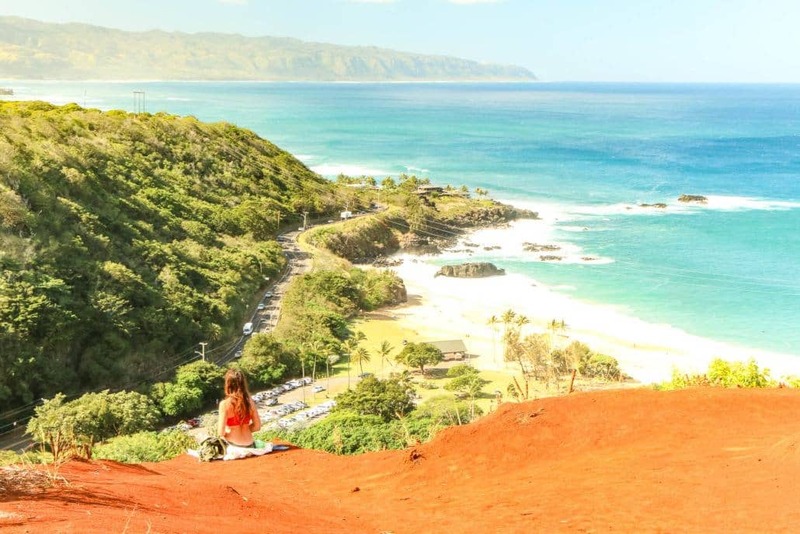 Staying On Maui, Kauai or Big Island? Currently, the dock at the USS Arizona Memorial is undergoing repairs. 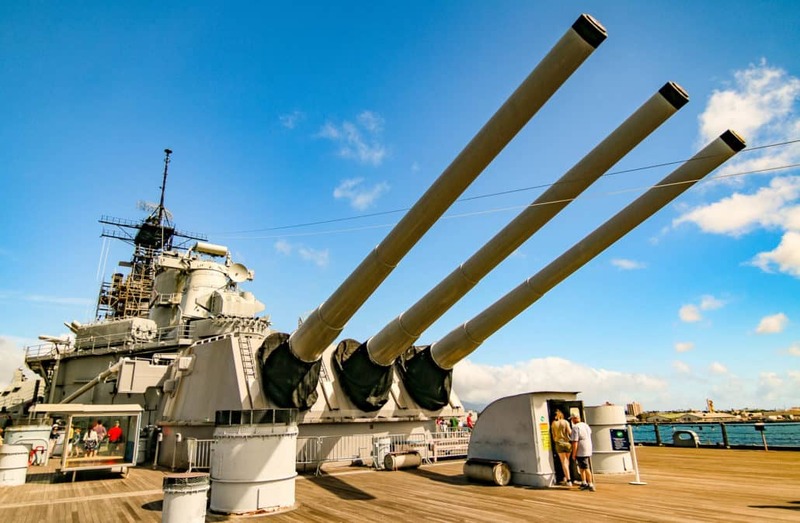 Our Pearl Harbor and USS Missouri Tour is a “must-see” for anyone who’s visiting Hawai’i and has always wanted to experience the history, serenity, and awe of Pearl Harbor. 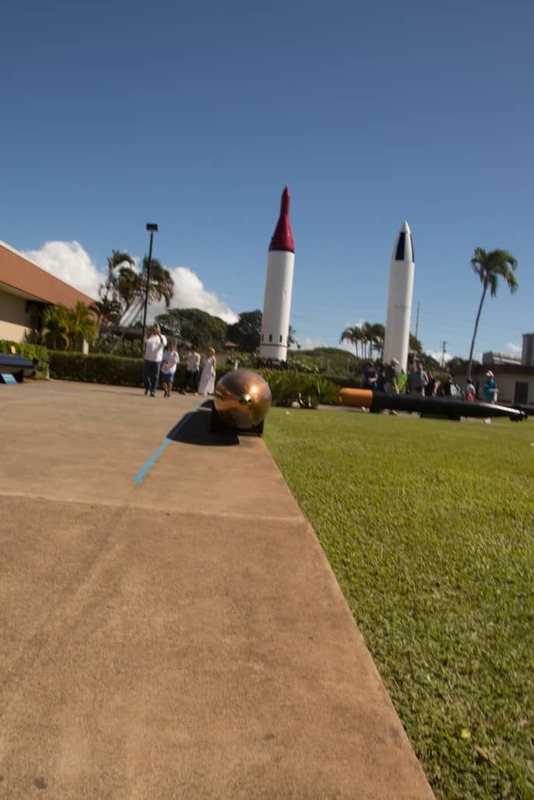 This tour includes transportation, and all entrance fees necessary to experience Pearl Harbor. The motor coach ride includes expert narration during the tour so you can get deeper insights into the historical monuments and buildings you’ll see throughout the day. 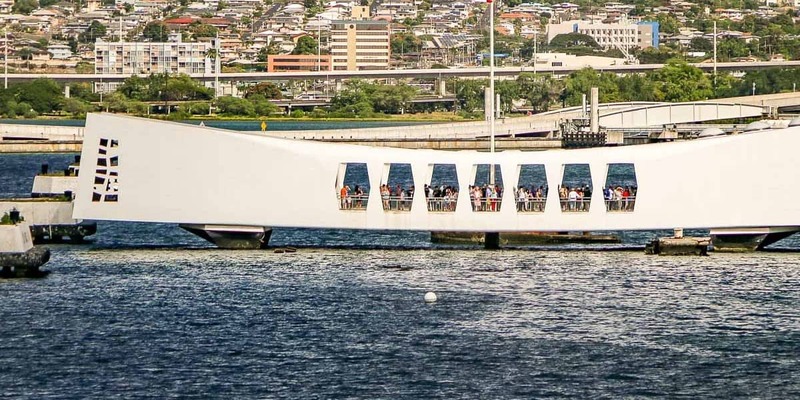 Because you’re touring with Pearl Harbor tours, you’ll be able to skip the long lines once we arrive at Pearl Harbor. 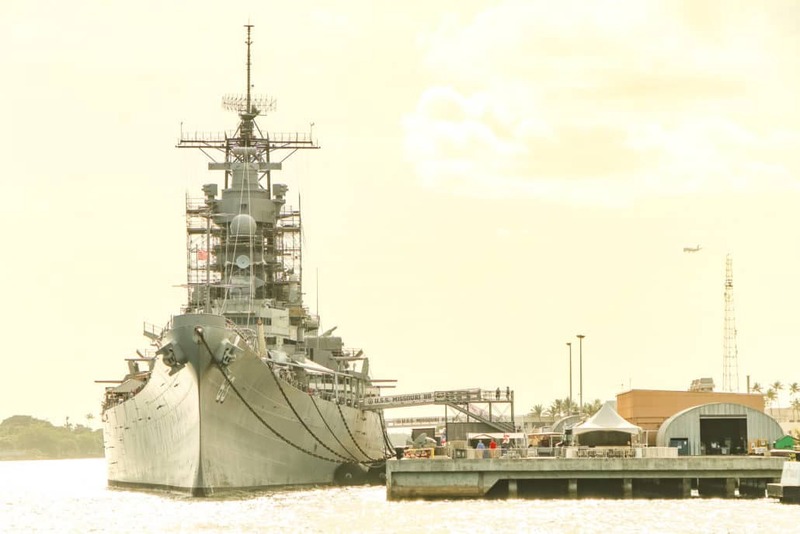 You’ll have 4 ½ hours to view the Pearl Harbor Visitor Center, the USS Arizona Memorial, and the USS Missouri while at Pearl Harbor. 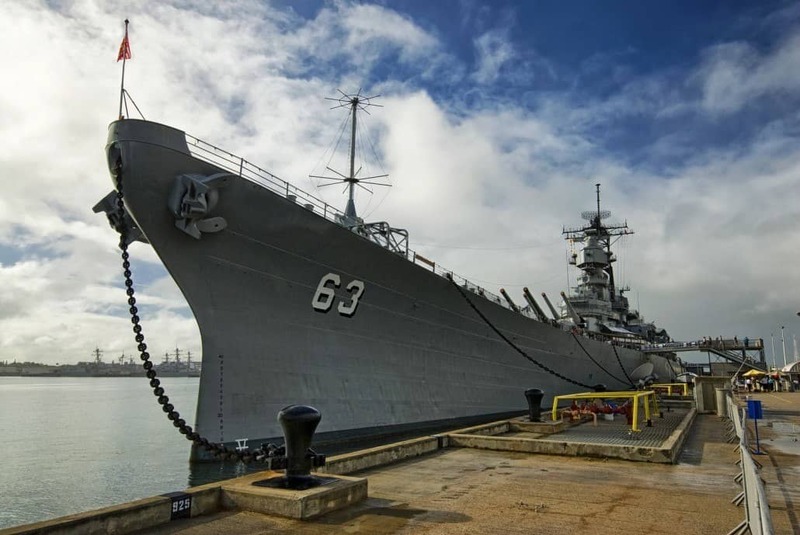 We recommend booking your Pearl Harbor tours in advance of your arrival to Hawai’i. 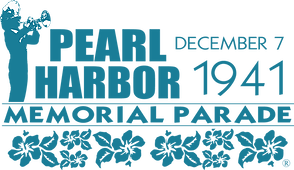 Pearl Harbor is our #1 visitor destination and sells out on certain days of the week. We recommend that you book your tour for either the 1st day of your arrival or the 2nd full day after. 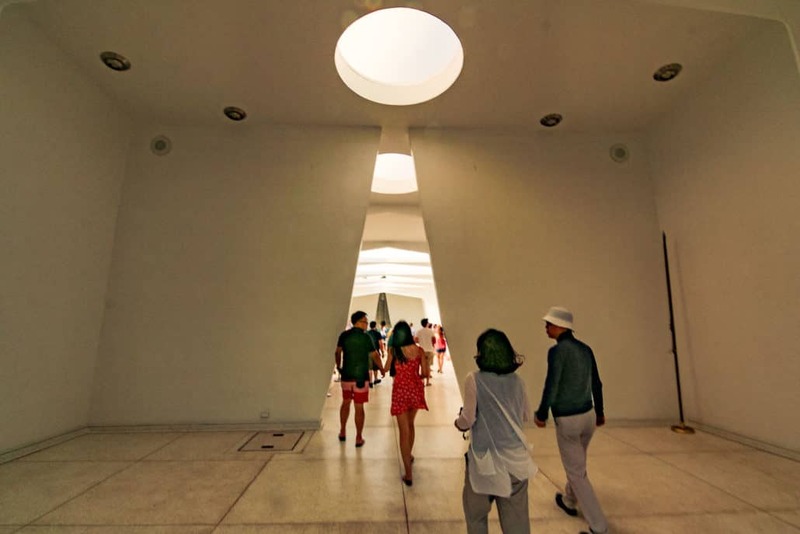 Our guests usually get up early in the morning the first or second day due to an early morning arrival or the time difference, so you’re usually wide awake by the time your tour starts. 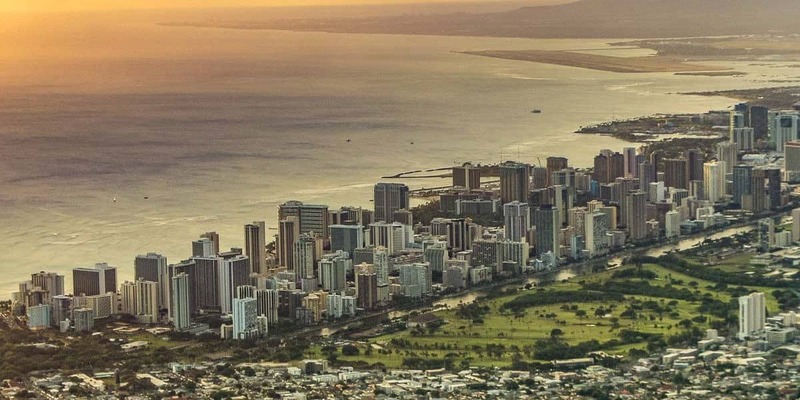 Your tour guide will also point out numerous not-to-be-missed highlights on Oahu as you are being driven to the different sites and overlooks on tour. These are sites we don’t stop at on our tour but you’ll probably want to visit later during your stay. 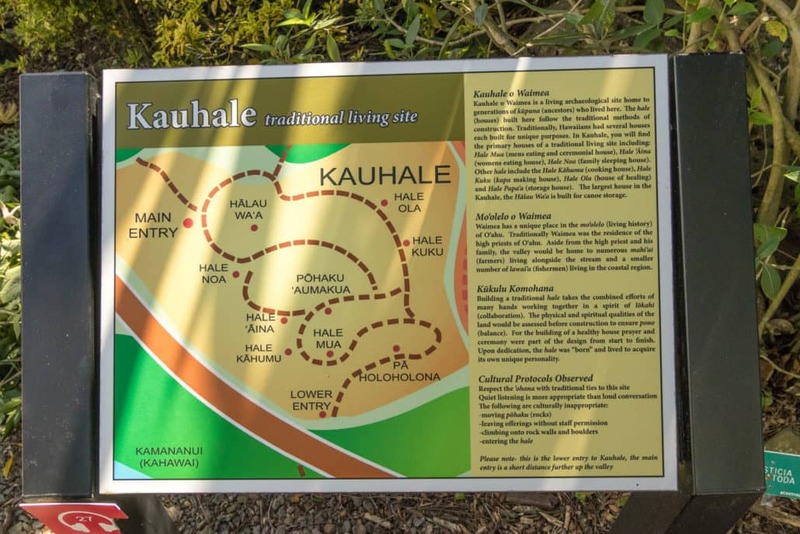 Oahu has a lot of amazing and beautiful places to see, but unfortunately we can’t fit them all into a full-day tour – or we would! *Safety is our #1 priority. Sites & features of our tours can change due to adverse weather and other unforeseen circumstances. 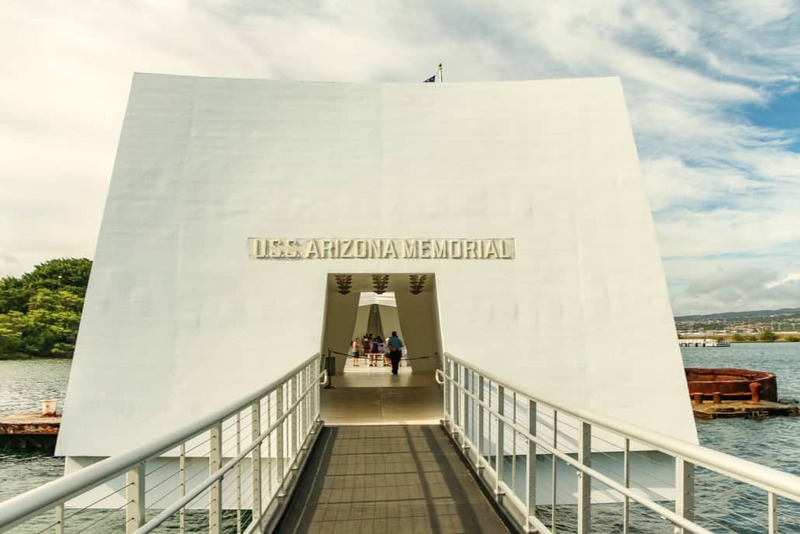 Dress comfortably but please remember that shirts and shoes are required on the USS Arizona Memorial; swimsuits not permitted. 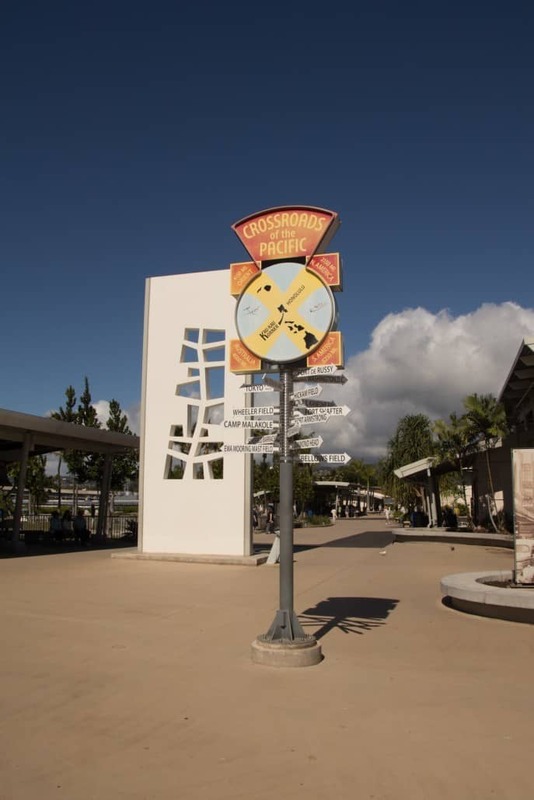 Bags are not allowed in Pearl Harbor Visitor Center but if needed may be checked and stored for $3.00 per item. In the event of cancellation or if you would like to request a change to your reservation, please note the following. 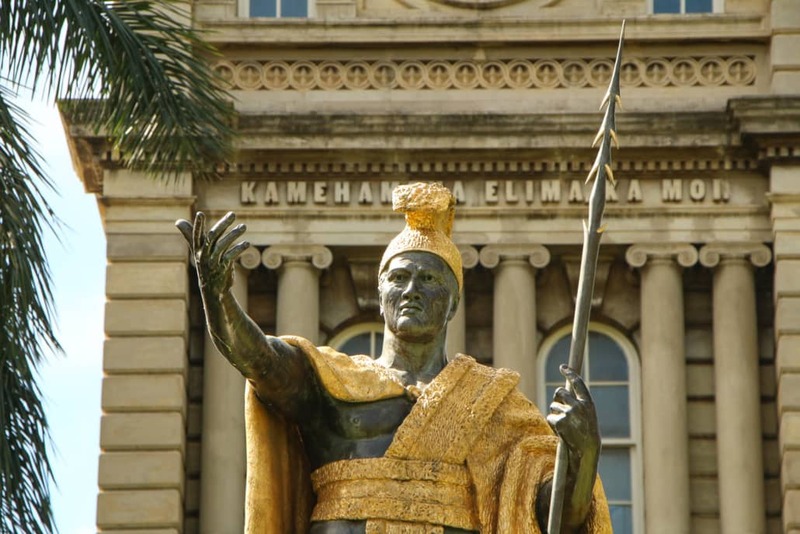 Tours originating from Oahu, there is no charge for date change or tour change based on tour availability. Any request for a refund prior to 48 hours is honored with a full refund, minus a 10% cancellation fee. No refunds issued for any tours within the 48 hour period, prior to the start of your tour. 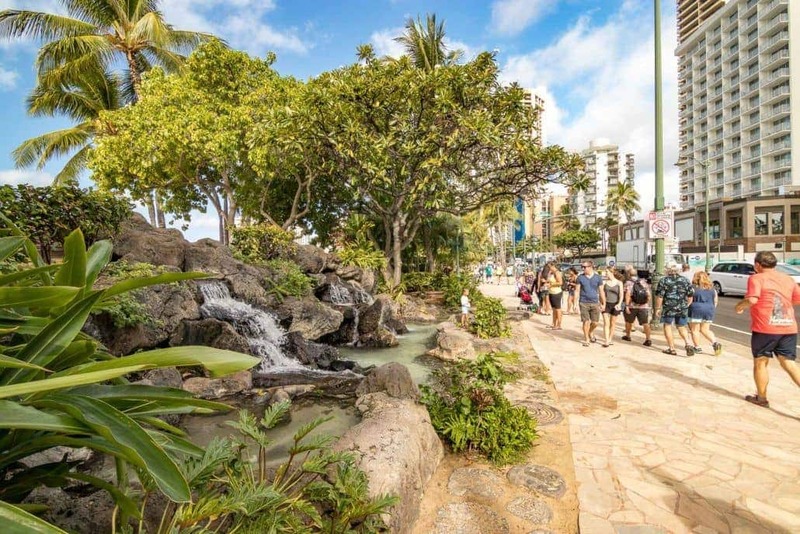 This tour includes transportation on the island of Oahu, and entrance to Pearl Harbor attractions. 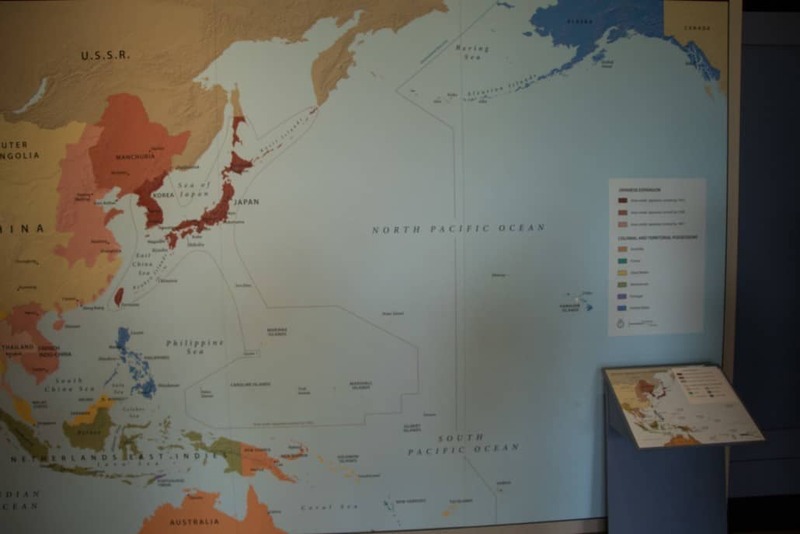 The first stop on the tour is the Pearl Harbor Visitor Center where you can learn all about the attacks that occurred on December 7th, 1941. 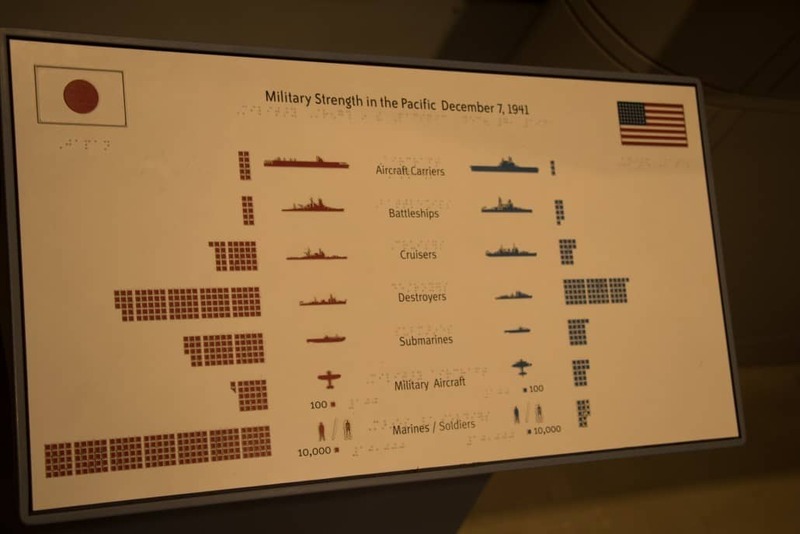 See a short documentary about the attack on Pearl Harbor, including actual footage from that infamous day. 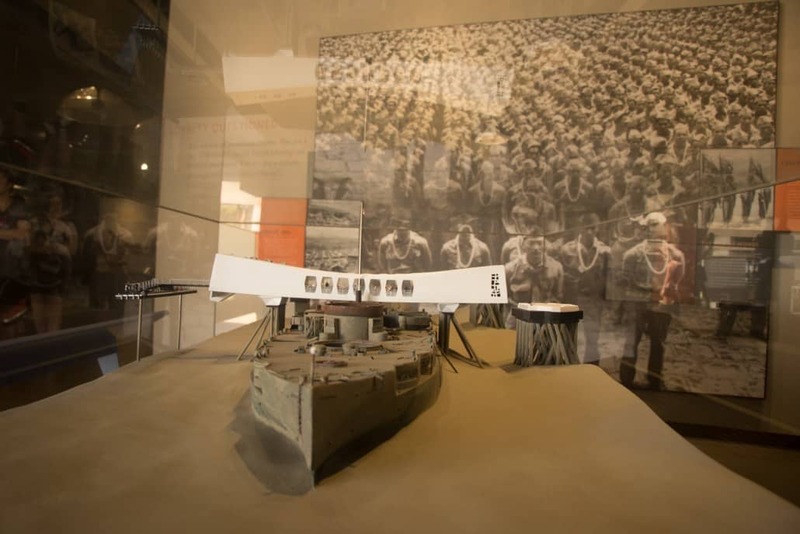 Take some time to browse the historical displays throughout the Visitor Center to learn more about the events that took place that day as well as the events that lead to the United States entering into WWII. And, of course, there are plenty of souvenirs to bring back home. (All purchases help keep these facilities operational and updated.) You’ll be also able to purchase lunch / snacks from the food vendors and spend some time relaxing while you enjoy your meal. It’s a quick trip over to the USS Arizona memorial aboard a U.S. Navy launch from the Pearl Harbor Visitor Center. 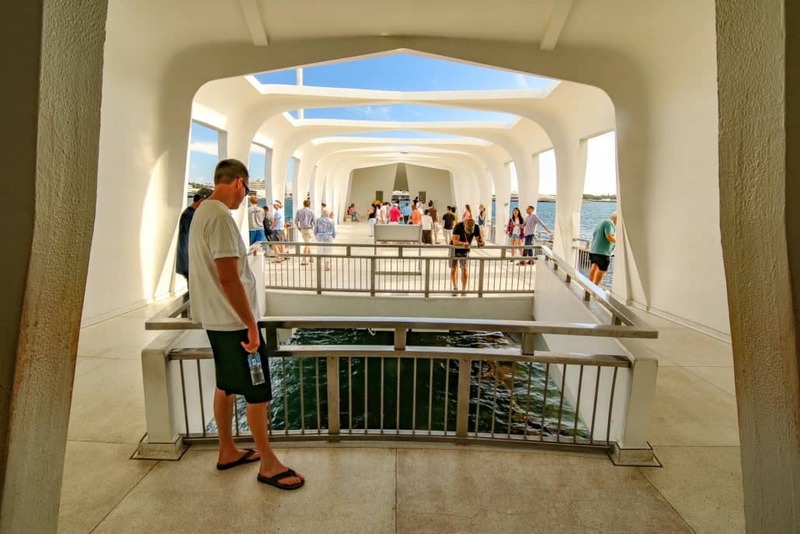 The memorial lets you view the USS Arizona under the water below you. 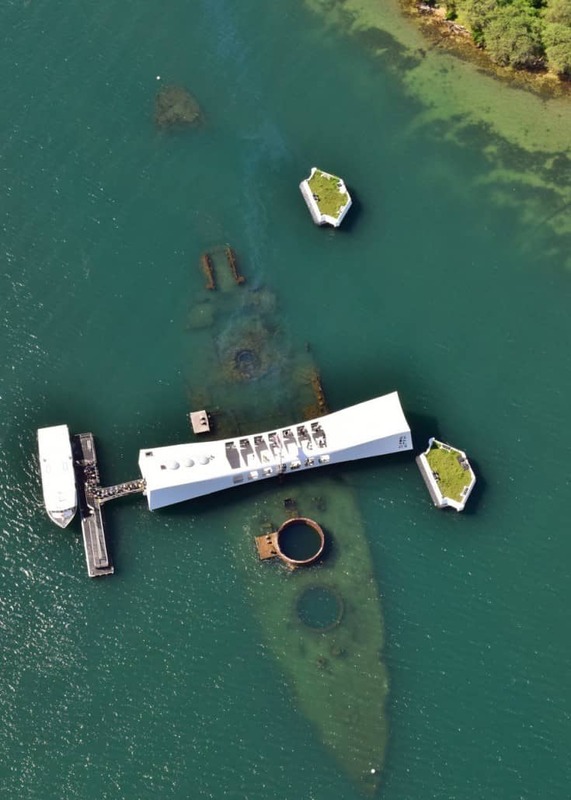 Within the USS Arizona lie the 1,177 heroes who lost their lives on the “Day of Infamy.” You’ll also notice a sheen of oil on the water, known as “black tears”, which still leaks slowly from the hull of the Arizona even after more than 75 years. 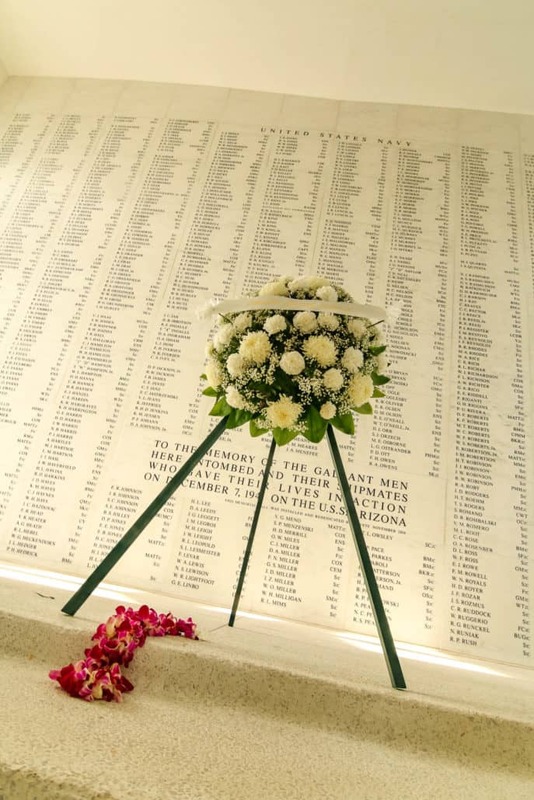 The names of all 1,177 crew members who lost their lives on the USS Arizona are memorialized in stone for you to view while at the memorial. The memorial is a solemn and beautiful tribute to those who lost their lives. Want to truly understand the gravity of the events that happened on that fateful day? Visiting the memorial, witnessing the destruction, knowing that those who died in the name of freedom remain beneath you while the U.S. flag still waves at half-staff will certainly help bring it all into perspective. 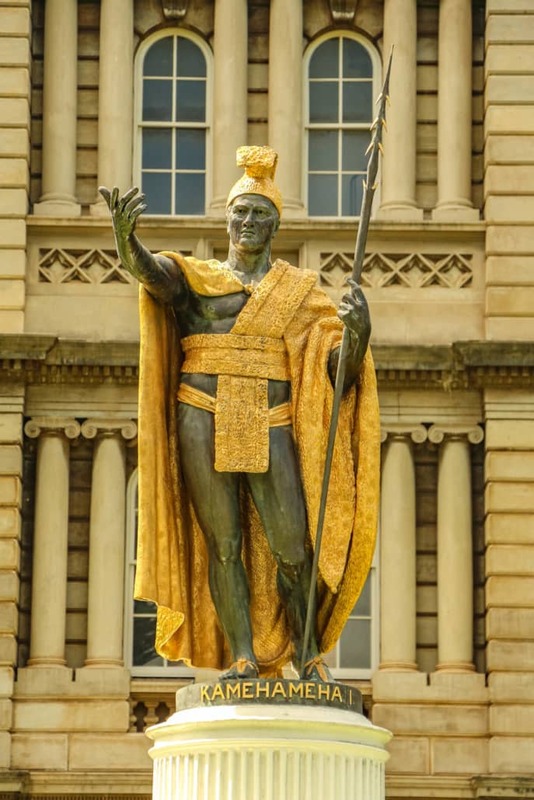 It’s a history buff’s dream tour. 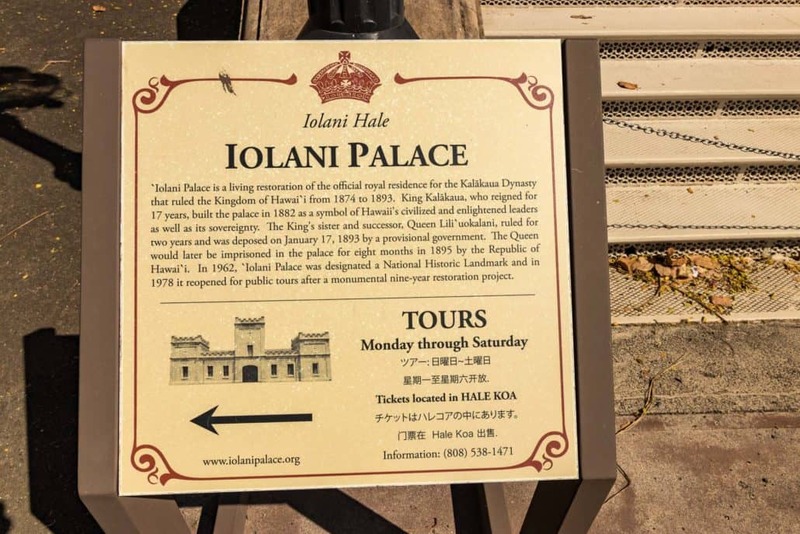 Now, you’ll take a quick trip to Ford Island for the next leg of our guided tour. 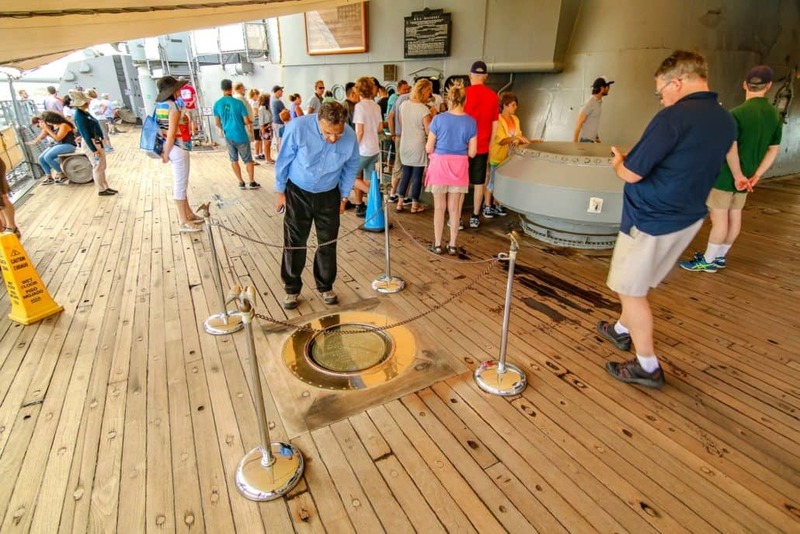 You’ll be welcomed aboard the deck of the USS Missouri. 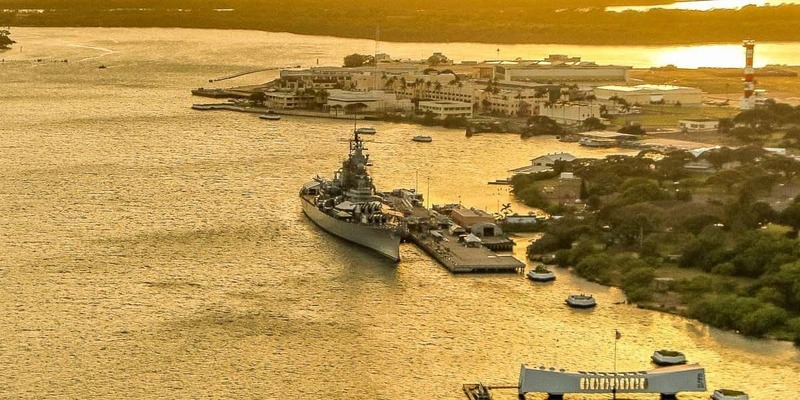 She was the last battleship built by the US Navy and is affectionately referred to as “Might Mo.” Commissioned in 1944, the USS Missouri earned 11 battle stars during her tour of duty and is famous because Japan signed their surrender on her deck while it was in Tokyo Bay. 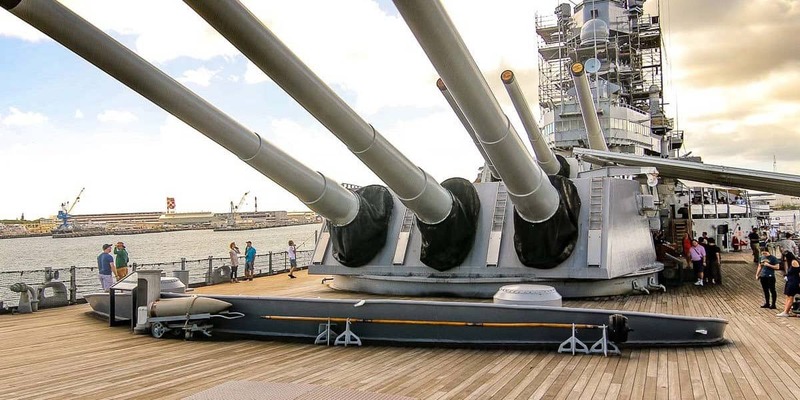 During the tour you’ll be able to walk the deck of Mighty Mo as your tour guide tells you all about this great battleship and her legacy. 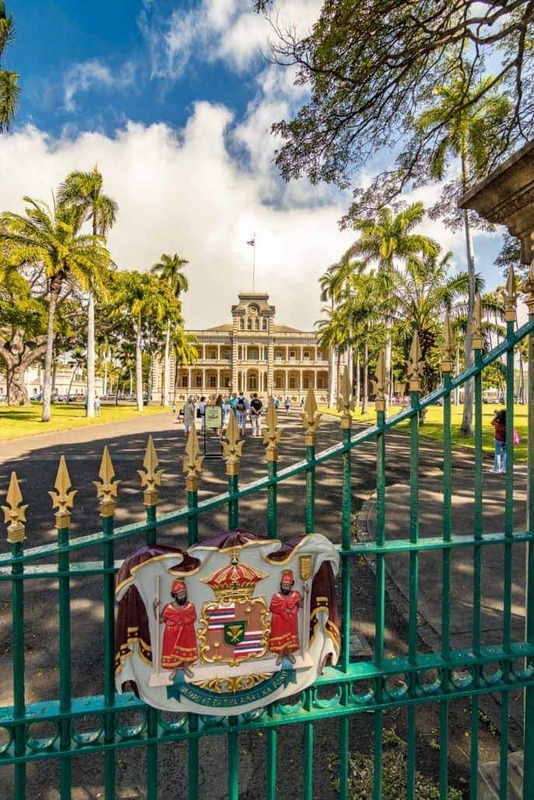 You’re invited to stand in the exact spot where representatives of the Empire of Japan signed the Japanese Instrument of Surrender on September 2nd, 1945 marking the end of World War II. 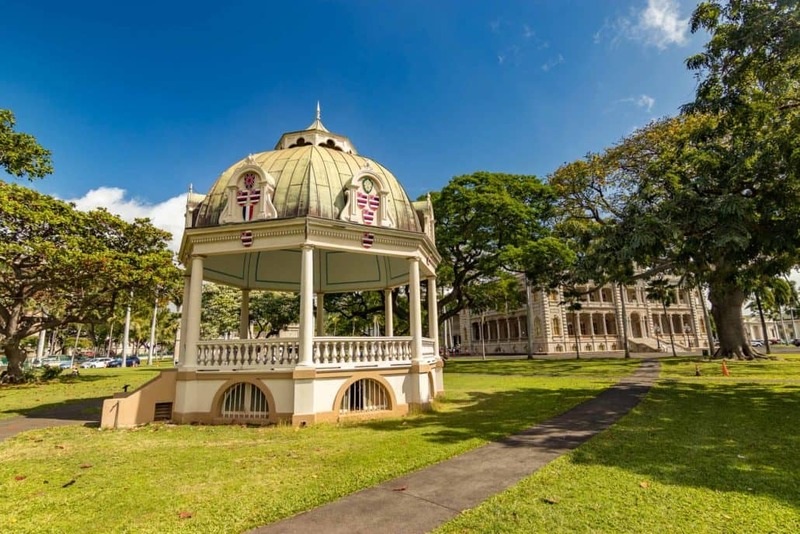 These beautiful, historical sites come to life thanks to the expert narration and local knowledge that your driver shares with you while you enjoy your tour of Honolulu city. 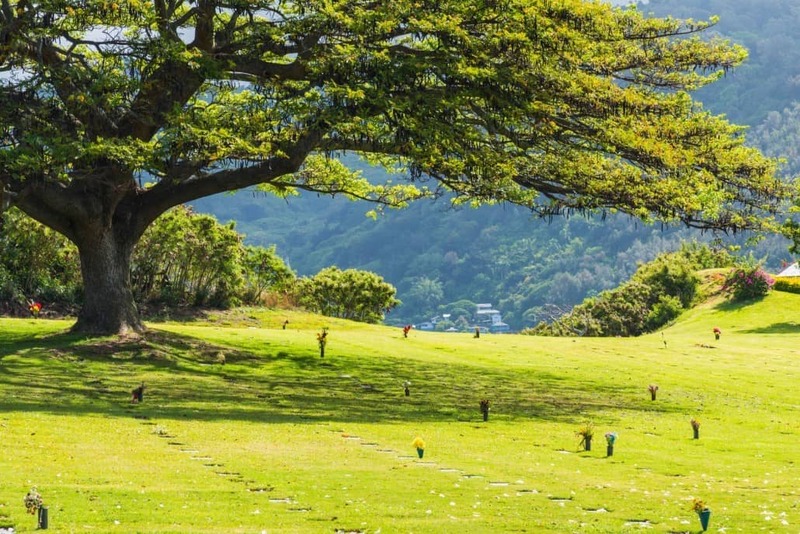 No tour of Honolulu’s rich history would be complete without visiting Punchbowl Cemetery. 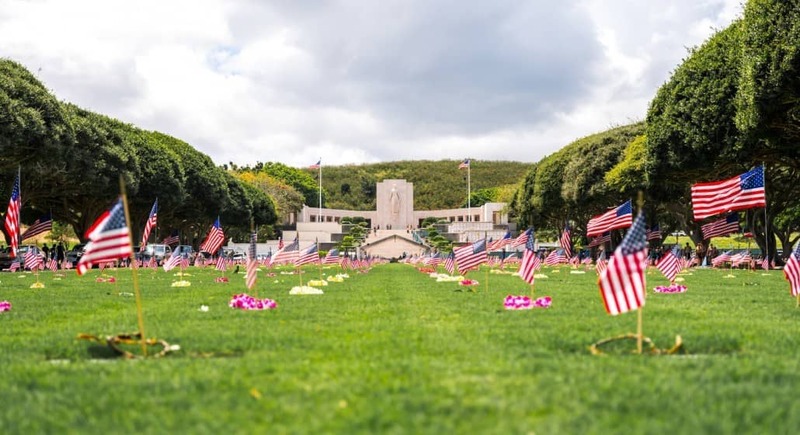 Also known as the National Memorial Cemetery of the Pacific, Punchbowl Cemetery is one of Hawaii’s most popular tourist attractions and serves as a memorial to the men and women of the United States Armed Forces who lost their lives. 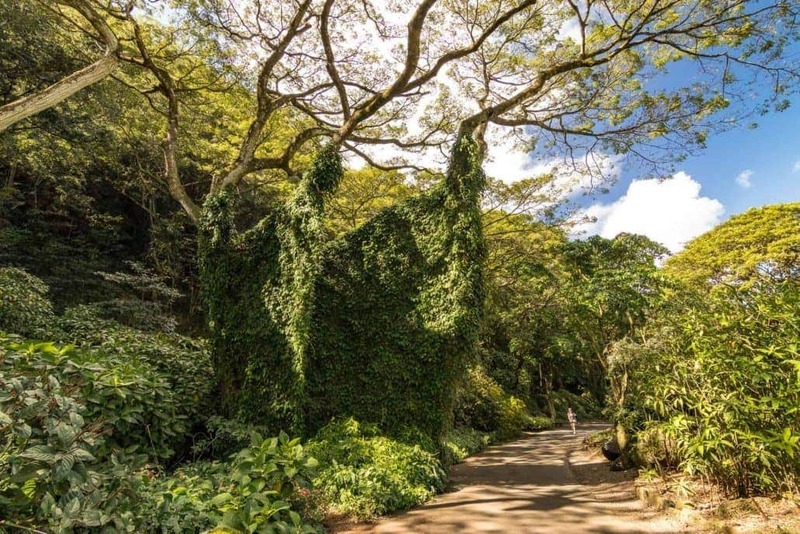 During the scenic drive you’ll be able to view the meticulous landscaping at the cemetery while you reflect on the beauty and reverence that is felt throughout the entire area. 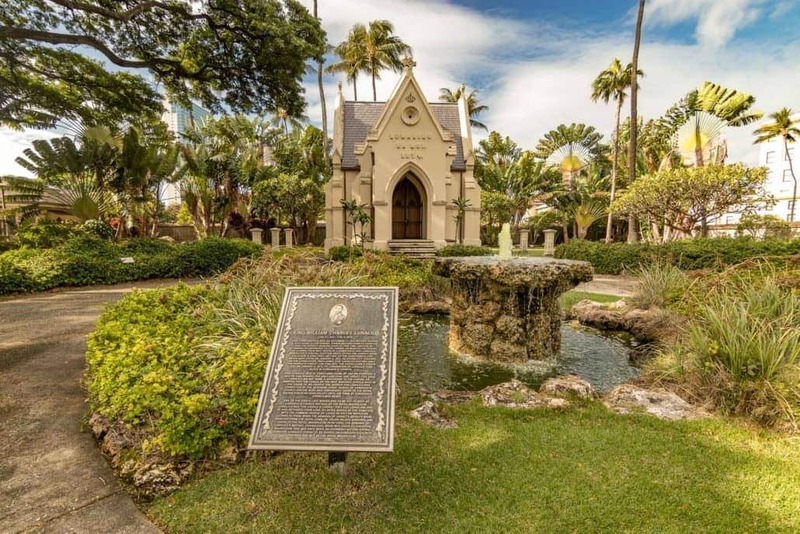 While driving through Punchbowl Cemetery you’ll also get to view Courts of the Missing and the chapel. 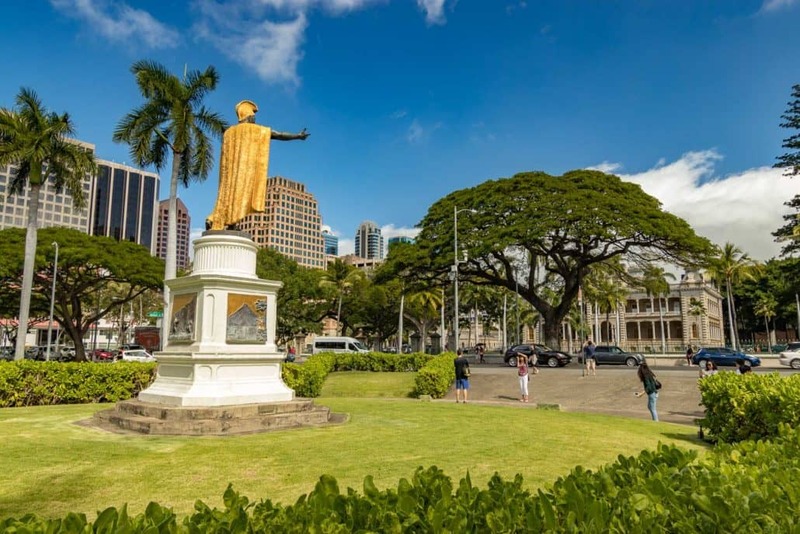 On this tour we will visit the USS Arizona Memorial, the USS Missouri Battleship Museum as well as sights throughout Honolulu and the Punchbowl National Cemetery. 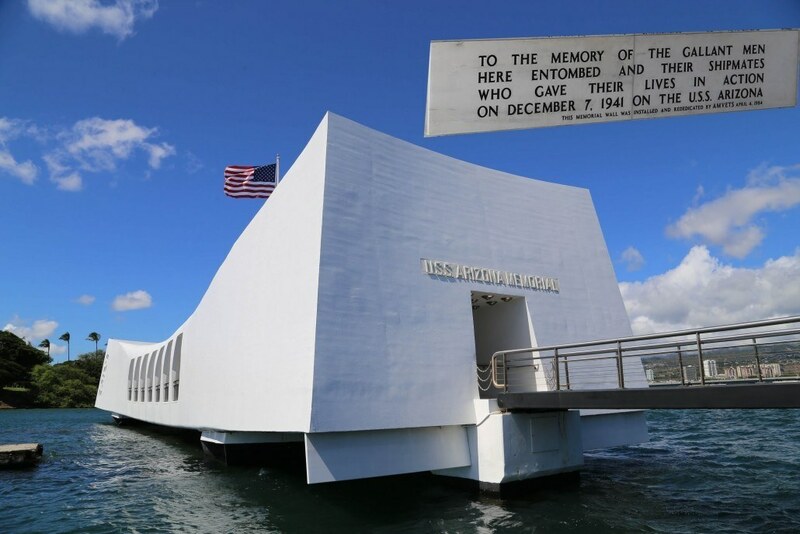 We will spend about 5 hours at Pearl Harbor on this tour.